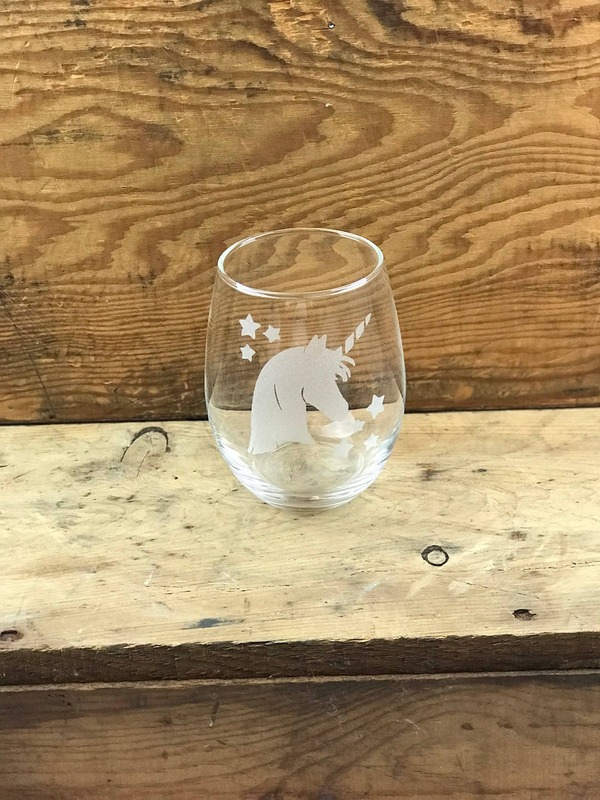 15oz. 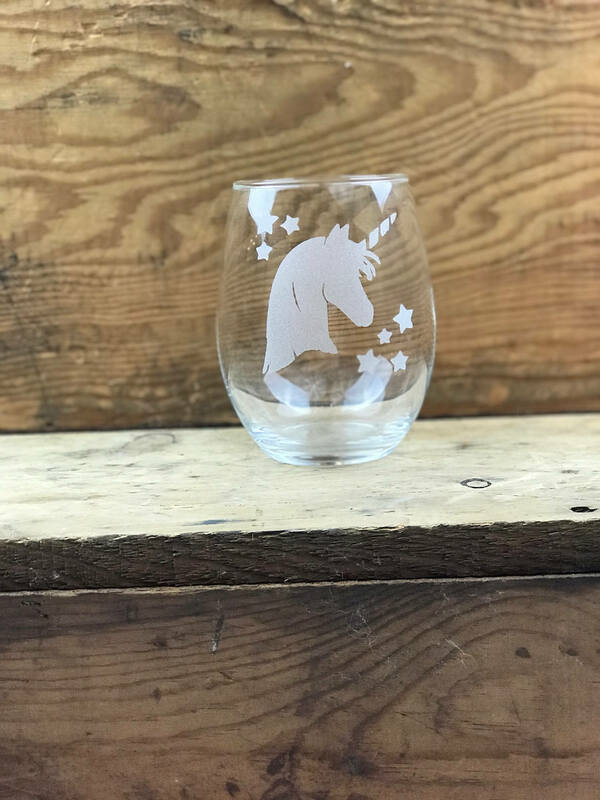 Custom Stemless Wine Glass - "Unicorn Glass With Stars"
This stemless wine glass is etched to perfection by sandblasting. 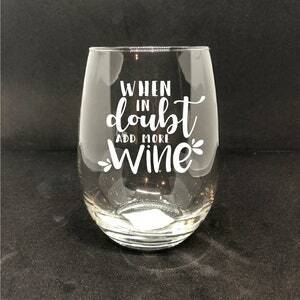 These wine glasses are great for either red or white wines. 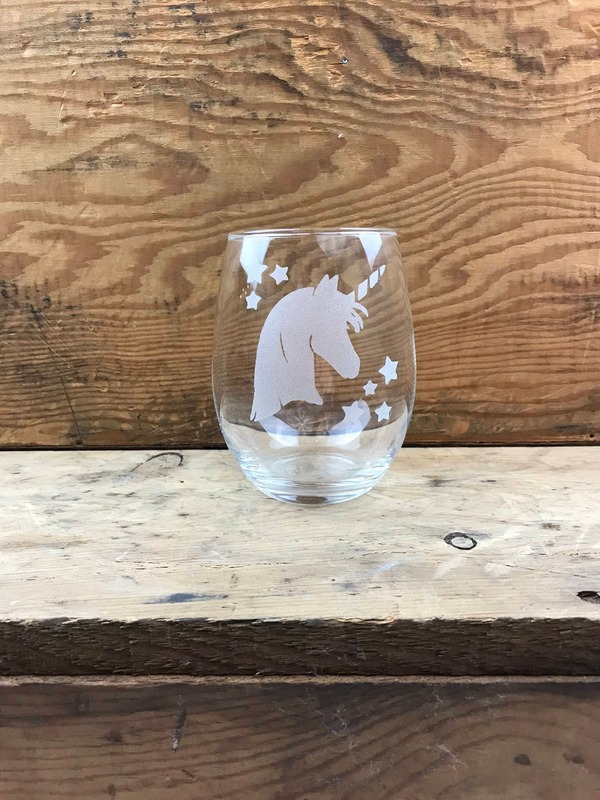 For all those with Unicorn lovers in your home this would be the perfect glass for them. 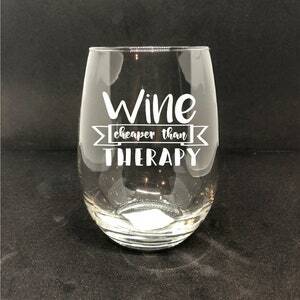 And while we are making a custom wine glass we might as well put some personalized message on it. 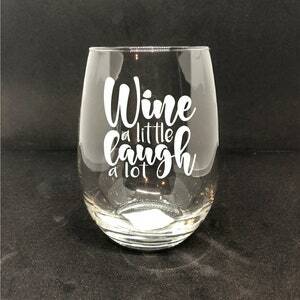 Make sure to select the "Add Text On Back" option during checkout to add that little extra to your new drinkware. 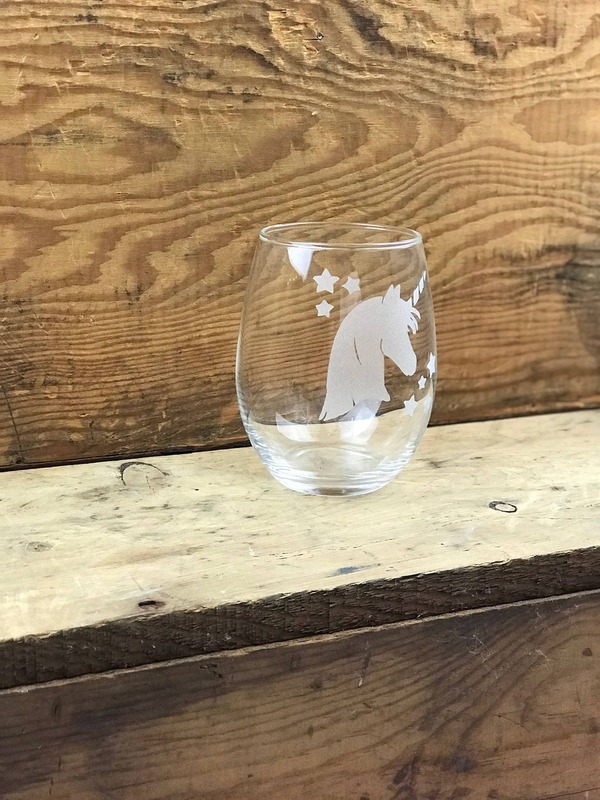 These were an employee and client gift after a 2 year project was completed. 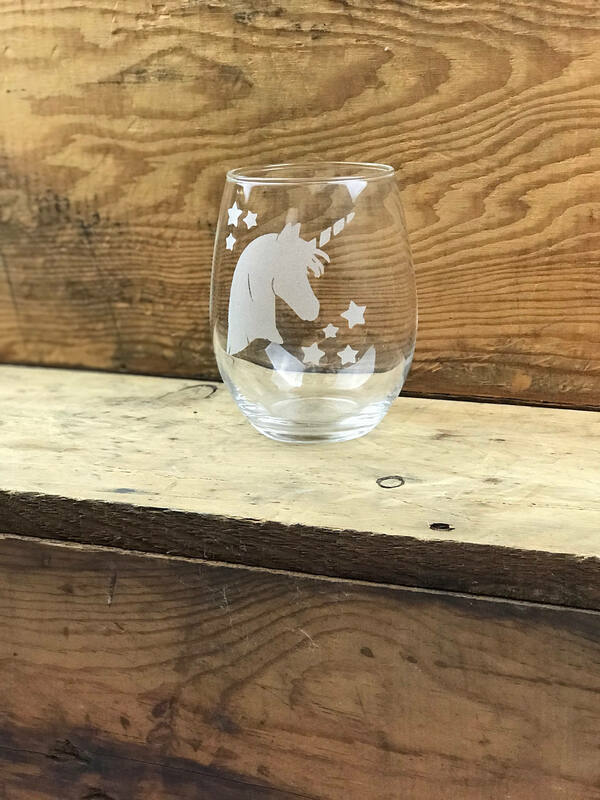 Not only was the final product high quality and perfectly executed, but Joshua went above and beyond to customize the glasses, was kind enough to go back and forth with me with our crazy little details, and found a way to get them produced and delivered within our super short deadline. 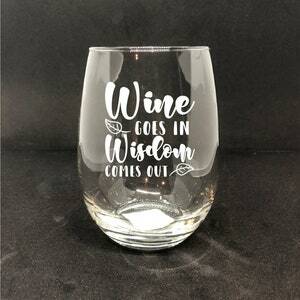 I would definitely order from him again!